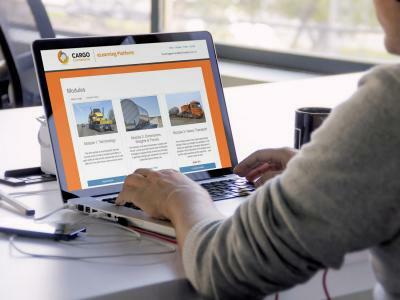 Cargo Connections has invested in both professional training from an industry expert and a new bespoke eLearning Platform to provide their Members with a comprehensive 'Heavy Transport' training program at a low subsidised cost. See our online brochure and enrol here (1-2 Users £250 each; 3-5 Users £200 each; 5+ Users £150 each). Independent forwarders know that there is a ceiling when it comes to earning revenue from sea, road and airfreight shipments. Although the thought of branching into heavy lift and project cargo is appealing due to the often-healthy margins, the market is very different and the risks are far higher. 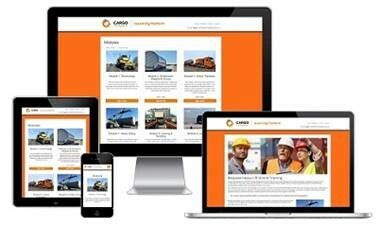 The clear and highly effective 6 module online course consists of 66 x 10 minute sessions which cover industry terminology, dimensions, weights and forces, heavy transport, heavy lifting, jacking, skidding and loadouts. When completed, the user will understand the practical, operational and engineering aspects of heavy transport and lifting projects. The training is comprehensive and senior level professionals will benefit from the practical, scenario and video based course as it will encourage reflection on current practices. However, the training is also ideal for staff who are at the beginning of their career, offering employers a time saving and low cost alternative to workshops and seminars. Besides the benefit of not having to travel to workshops and seminars, you can stop and start the training at your convenience with no deadlines. Upon completion, an e-Certificate is sent via email which can be downloaded, shared and printed immediately so that you can verify your training to clients and officials quickly and easily. Most industry courses and workshops are only available in the USA and Europe. However, our training is not only affordable but also available to anyone who has access to the internet. This has resulted in our training being used in countries as varied as Denmark to Djibouti, Tunisia to Trinidad, Namibia to New Zealand, Slovenia to Sierra Leone, Ireland to Ivory Coast, Hungary to Honduras, China to Colombia. The training is delivered by industry expert, Marco J. van Daal who has over 20 years’ experience extending to more than 55 countries on 5 continents. He is author of the heavy transport textbook The Art of Heavy Transport in addition to being a contributing member of the American Society of Mechanical Engineers and the European Association of Abnormal Road Transport and Mobile Crane. For more details, please go to www.transporttraining.online. Thank you for your time and have a great week.